The 2009 Ace Race prototype is now the Focus. With just a hint of overstability, Focus makes a great general putter, and will cut through moderate headwinds on short approaches. Soft version offers a popular grippier option. 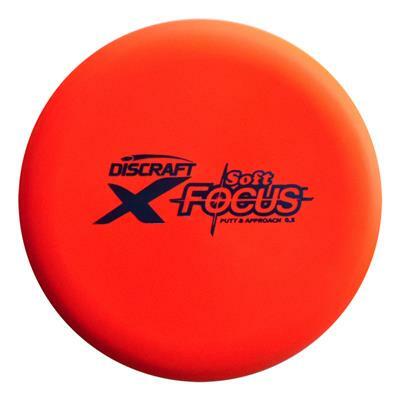 A great and reliable disc, the Focus is consistent and as dependable as they come. I use the X-Focus for strictly putting and have never been disappointed. Great flights with a reliable little hyzer finish into the chains.